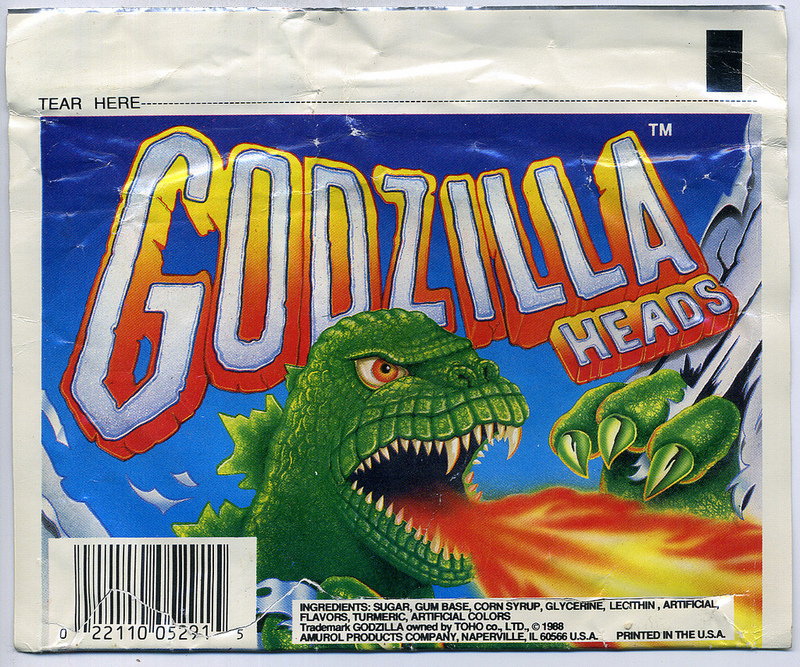 Pieces of bubble gum in the shape of Godzilla’s head? Yes, please. 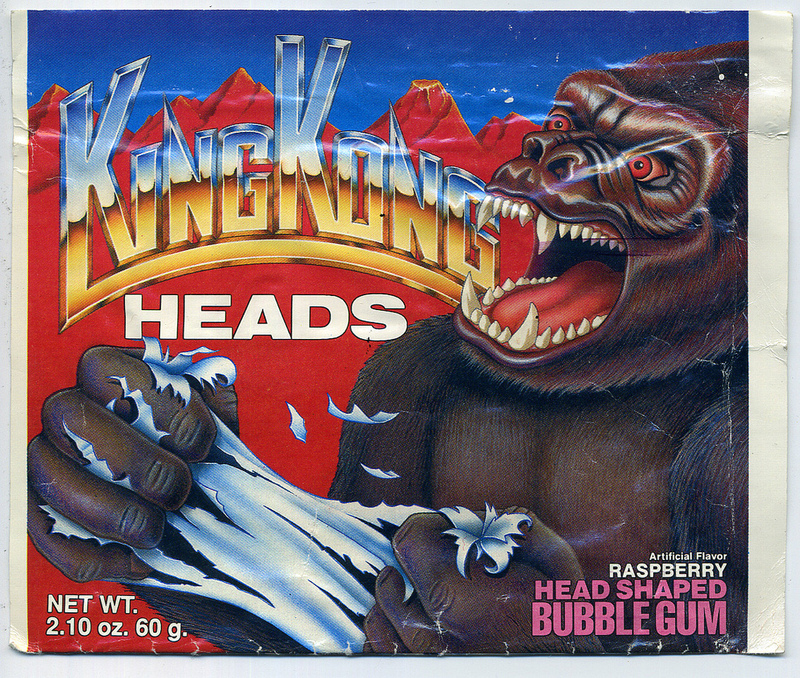 There were at least three monsters in the “Heads” series: King Kong and Werewolf were the other two. 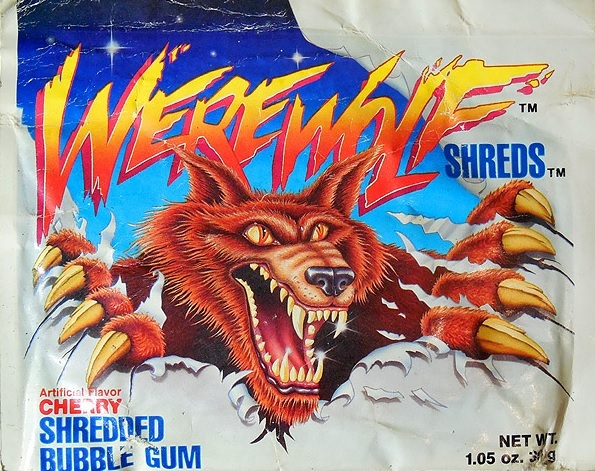 It seems a bit curious for 1988, but I have no doubt kids literally ate it up. Such is the power of sensational illustration. 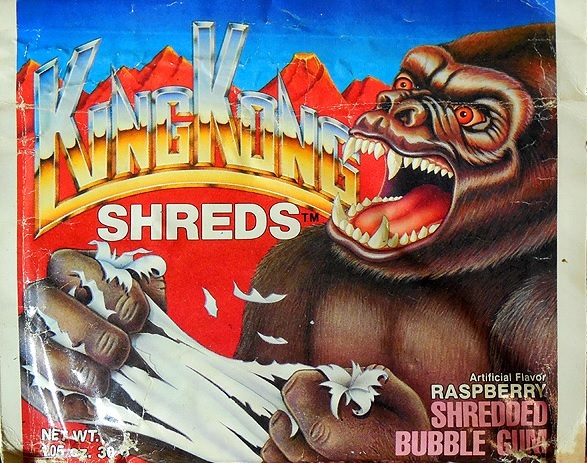 All three monsters also came in a “Shreds” variety, similar to Big League Chew, probably the best bubble gum experience any of us will ever have. Below are the other package images I found. 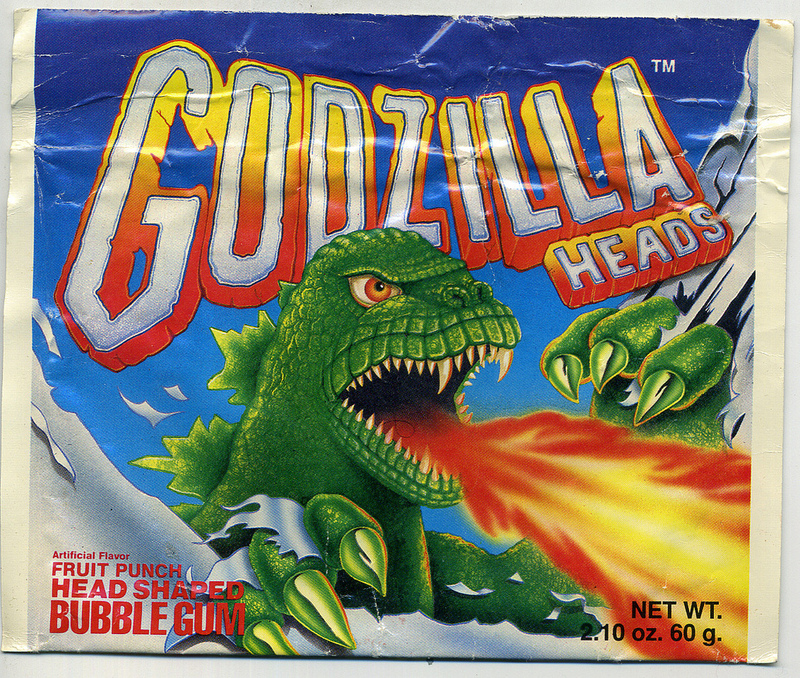 Oh my gosh, This gum was so very yummy. I loved it. Dare you to eat one. But please show me what it looks like first.